Throughout its history, Market Square has served as a community gathering place and center of economic commerce. HOULTON, Maine — Throughout its history, Market Square has served as a community gathering place and center of economic commerce. Tucked away among the modern stores and historic placards, however, sits a piece of the past that is likely unrecognized by many. 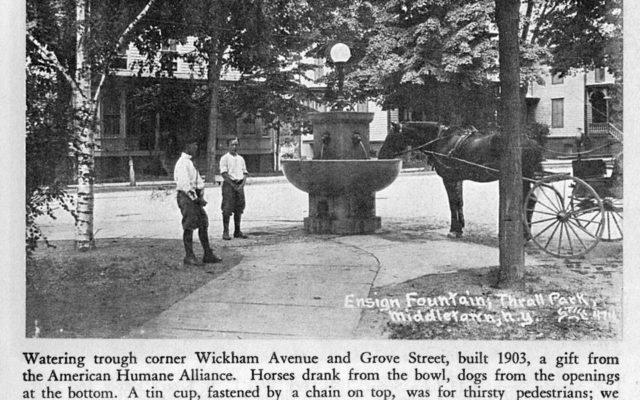 Located at the corner of Water and Court streets, the Ensign Animal Fountain was given to the town in 1908. Jason Howe, a board member of the Aroostook Historical and Art Museum, said during a recent interview that he also was unaware of the history of the fountain until he uncovered it during research. Currently, the fountain, which sits in front of the Mansur Block, is surrounded by flowers in a raised planter. But according to Howe, the fountain came to town as a result of actions by Hermon Lee Ensign, a New York journalist, salesman, inventor, author and philanthropist who had a deep love for animals. In 1897, Ensign founded the National Humane Alliance, a precursor to the Humane Society. Following his death, he left a large portion of his estate to the alliance. Under the direction of Harrison Grey Fiske and his wife, leading stage actress and activist, Minnie Maddern Fiske, the alliance began offering animal drinking fountains to communities all over the country. 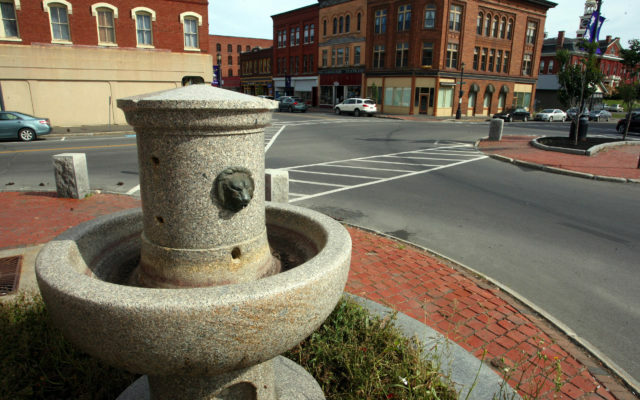 Houlton accepted and placed its fountain in the center of Market Square so it could be accessed by both horses and humans. The fountain was quarried and made by Bodwell Granite Company of Vinalhaven, a company founded by former Gov. Joseph R. Bodwell. While many of the fountains were large structures, several smaller fountains, including the one given to Houlton, were created. Howe said that these structures are rare, with only an estimated 125 such fountains manufactured between 1904 and 1912. 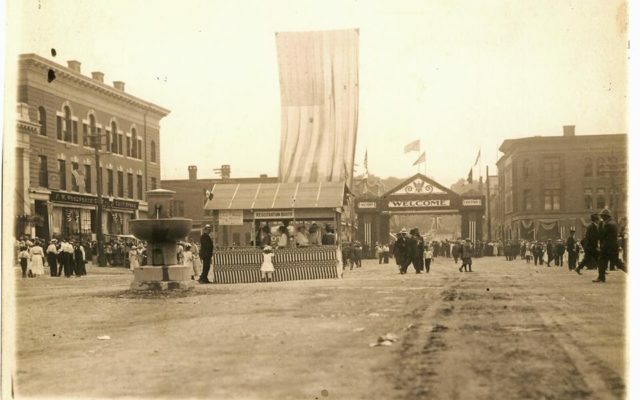 The fountain was still running as of 1919, according to a photograph from The Aroostook Historical and Art Museum. There are about 70 fountains still publicly available, according to statistics from the National Register of Historic Places. Howe said that right after the fountains were designed, they pretty much became obsolete. According to the National Humane Alliance Fountain website, there are two other fountains in Maine — one in Portland and one in Vinalhaven. “It is really neat to have this little piece of history here,” Howe said.